1 Thinly peel and grate the beet. Peel and finely chop the onion and garlic. Shred the cabbage. Wash the leek and cut into rings. 2 Heat the butter in a pan and saute the onion and garlic. Add the cabbage, leek and beet and saute briefly. Add the vegetable broth, bring to a boil and simmer over a low heat for about 20 minutes. 3 Puree the soup, stir in the sour cream and season to taste with vinegar, salt and pepper. Chill until ready to serve. 4 To serve, shell and halve the eggs. 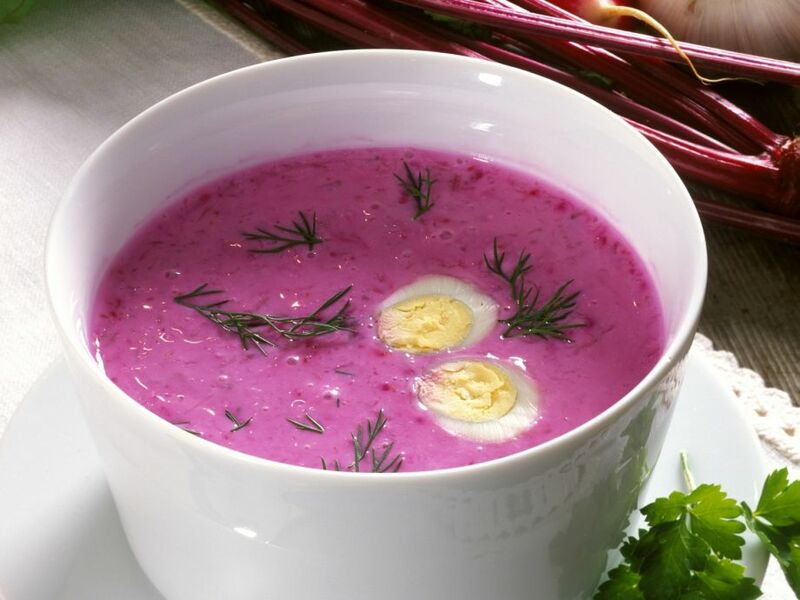 Ladle the soup into bowls or plates, place 2 egg halves in the middle of each and garnish with dill weed.